In case of dental emergency you can reach us after hours and over weekends. Please just call our office. If the face is swollen, apply a cold compress. Take acetaminophen for pain and see a dentist as soon as possible. 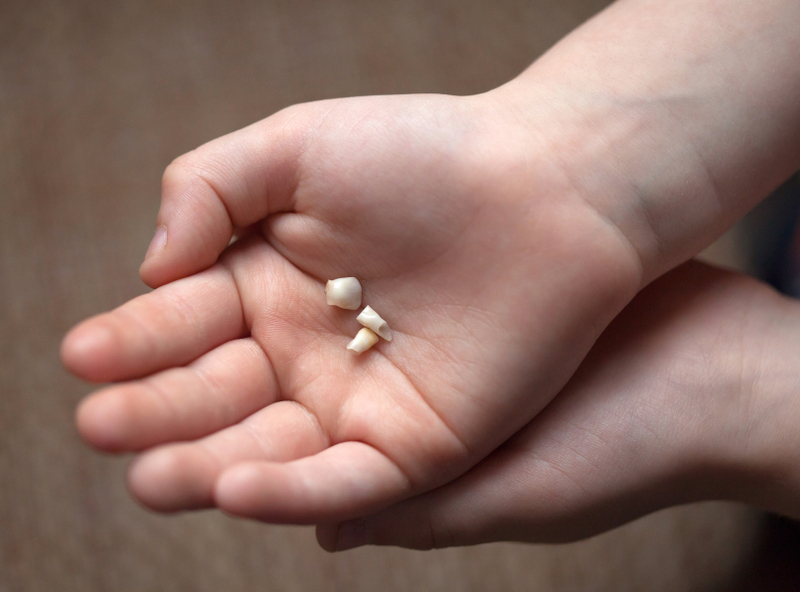 DO NOT PUT THE BABY TOOTH BACK IN ITS SOCKET. IT CAN DAMAGE THE PERMANENT TOOTH UNDERNEATH. Find the tooth. Handle the tooth by the top (crown), not the root portion. You may rinse the tooth, but DO NOT scrub it. Try to reinsert it in its socket. 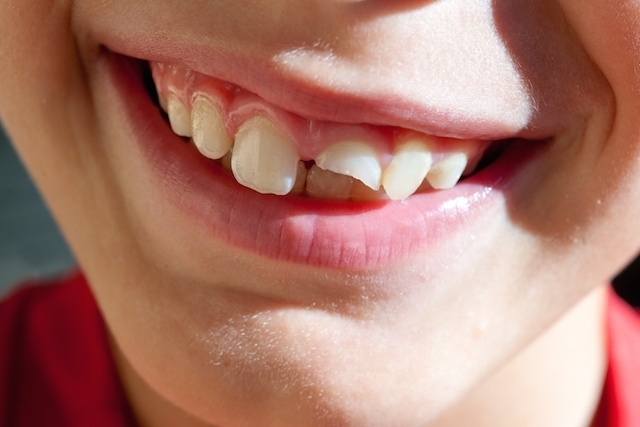 Have the child hold the tooth in place by biting on a clean gauze or cloth. If you cannot reinsert the tooth, transport the tooth in a cup containing milk or water. See a dentist IMMEDIATELY! Time is a critical factor in saving the tooth. If a broken appliance can be removed easily, take it out. 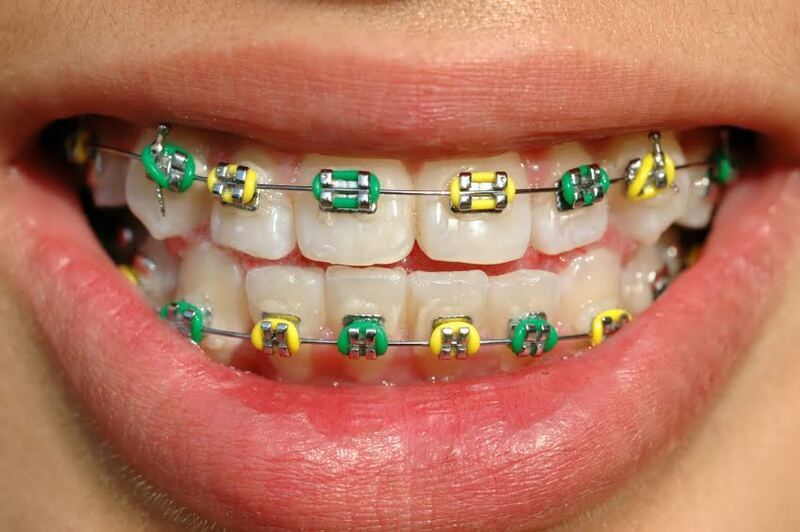 If it cannot, cover the sharp or protruding portion with cotton balls, gauze, or chewing gum. If a wire is stuck in the gums, cheeks, or tongue, DO NOT remove it. Take the child to a dentist immediately. Loose or broken appliances which do not bother the child don’t usually require emergency attention. 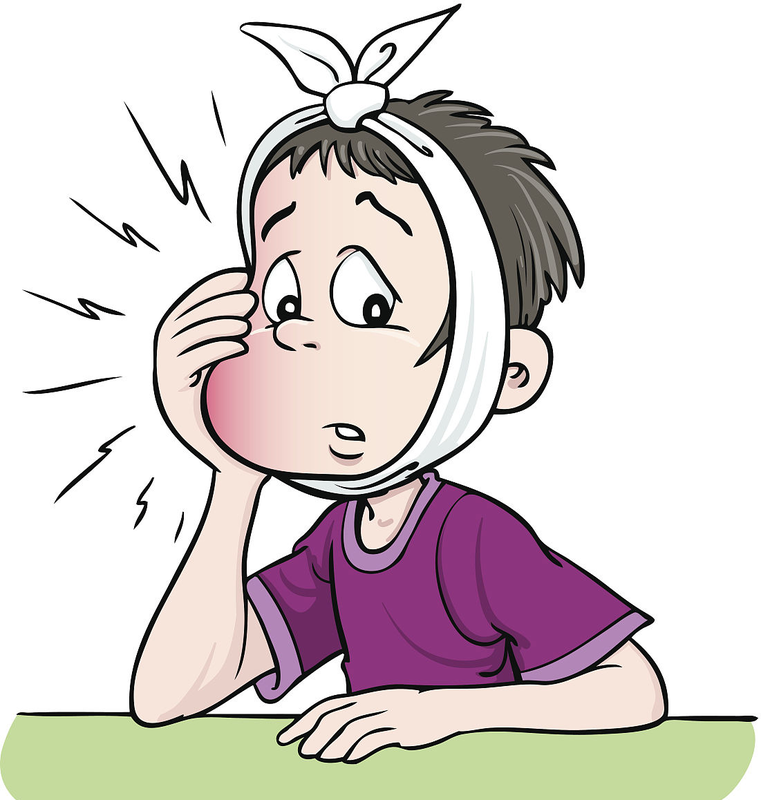 Possible broken jaw: If a fractured jaw is suspected, try to keep the jaws from moving by using a towel, tie, or handkerchief. Then take the child to the nearest hospital emergency room. Rinse dirt from injured area with warm water. Place cold compresses over the face in the area of the injury. If the tooth is broken due to trauma locate and save any broken tooth fragments and keep it in the water. Immediate dental attention is necessary.